ICERM - An ICERM Public Lecture: What’s the big deal about calculus? An ICERM Public Lecture: What’s the big deal about calculus? Everyone has heard of calculus, but why is it so important? Millions of high school and college students feel compelled to take calculus, but many would be hard-pressed to explain what the subject is about or why it matters. Some of their teachers might feel the same way. In this talk, I’ll try to clarify the fantastic idea at the heart of calculus. 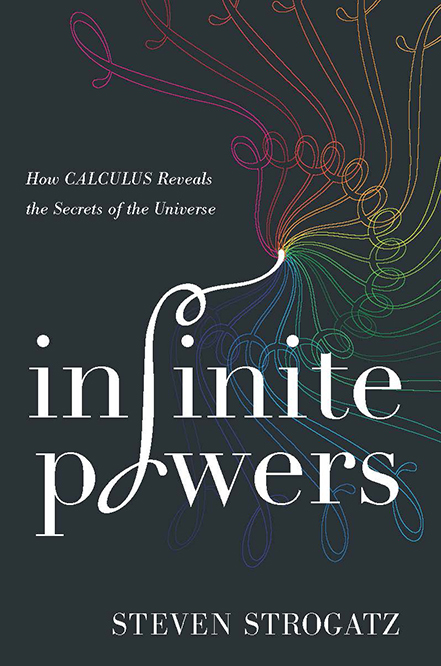 With the help of pictures and stories, I’ll trace where calculus came from and then show how it – in partnership with medicine, philosophy, science, and technology – reshaped the course of civilization and helped make the world modern. This talk is intended for everyone, whether you've taken calculus or not, and whether you like math or not. By the end, I hope to convince you that calculus is one of the most imaginative and consequential triumphs of human creativity ever. Steven Strogatz is the Jacob Gould Schurman Professor of Applied Mathematics at Cornell University. He works in the areas of nonlinear dynamics and complex systems, often on topics inspired by the curiosities of everyday life. For example, he has explored the geometry of DNA, the dynamics of sleep, the wobbling of London’s Millennium Bridge, and the synchronization of fireflies. Perhaps his best-known research contribution is his 1998 Nature paper on "small-world" networks, co-authored with his former student Duncan Watts. It has now been cited more than 35,000 times according to Google Scholar and is among the top hundred most-cited scientific papers of all time. Professor Strogatz studied at Princeton, Cambridge, and Harvard and taught at MIT before moving to Cornell in 1994. A renowned teacher and communicator, he has blogged about math for the New York Times and the New Yorker and has been a frequent guest on RadioLab and Science Friday. His honors include a Marshall Scholarship; a Presidential Young Investigator Award; MIT’s and Cornell’s highest teaching prizes; a lifetime achievement award for the communication of mathematics to the general public; the Lewis Thomas Prize for Writing about Science; and membership in the American Academy of Arts and Sciences. He is the author of Nonlinear Dynamics and Chaos, Sync, The Calculus of Friendship, The Joy of x, and, most recently, Infinite Powers, on which this talk is based. This event is free and open to the public. Limited seating. Please register to reserve a seat at https://www.brownpapertickets.com/event/4197999.